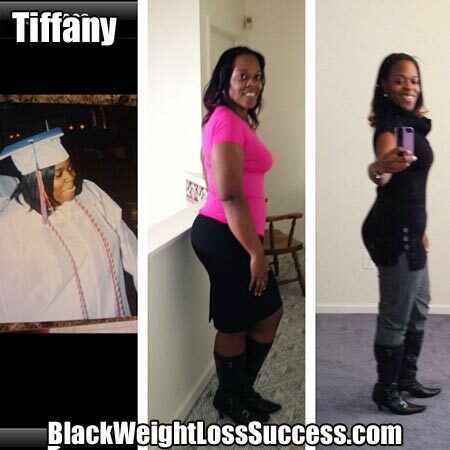 Weight Loss Story Update Mar 2014: Tiffany wrote in to let us know that she has lost an additional 20 pounds. That brings her to a total of 129 pounds down. 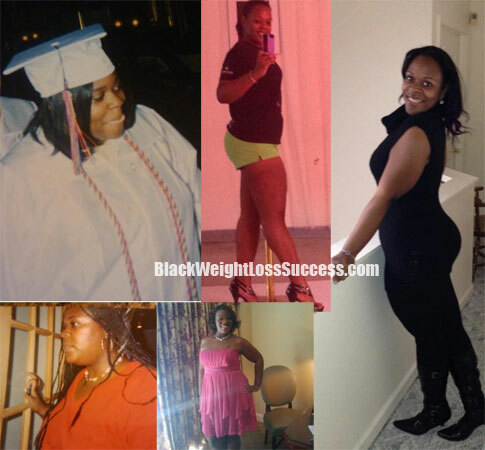 May 5, 2013 – Today’s featured weight loss success story: Tiffany lost 109 pounds. She tried weight loss surgery but it did not work for her and she gained the weight back. Now, years later, she has been able to lose the weight with eating right and exercise. I’m Tiffany “Wildkat” Williams and I started at 297 and I’m 188 now! I’m on my way to 145!! I tried everything including 2 surgeries that didn’t work so now I watch what I eat and workout religiously! I exercise no less then 2 hours a day except on Sunday. I do several kinds of dance including belly dancing and pole. I also lift weights and do Zumba and a slew of other classes! Love your page and thanks for the positive images and stories you post! I tried everything to lose weight! I’ve done all the fad diets, the pills, two surgeries! I had the lap band first and when that failed I had it removed and had a gastric bypass. The bypass failed as well because I had intestinal issues. So i did lose some weight but I lost it very slowly. I was 297 at my heaviest and 275 when I had the bypass and 3 years later I was only down to 186. To put it in perspective I know people who had surgery within weeks of mine and 9 months later went from 255 to 135! Surgery just was not the right choice for me and I was counting calories and working out like crazy! Then 2 years after surgery I was back at 248! I’ve been heavy my entire life I just finally have all the pieces of my puzzle together. I used to workout all the time and eat poorly or starve myself and not workout at all. I was finally successful with a healthy diet and working out 6 days a week for 2-4 hours a day! I have now gotten down to 184 and I am on my way to 145! I eat lots of protein, fresh fruits and veggies. I add protein shakes in as well. I stay away from “whites” bread, potatoes, rice etc. I eat multi grain breads in moderation and yams and brown rice. I also cut out sugar, salt and processed foods as much as possible. I will eat a fresh apple instead of applesauce for example. Processed foods have a lot of hidden sugar and sodium. I do Zumba, pole fitness, elliptical HIIT plans, running, weight lifting, kick boxing, yoga and Pilates just to name a few. I need variety to keep myself entertained lol! I guess I’ve been working on my transformation “seriously” for about 4 years now. Thanks for sharing! I love your page! Wowwwww you look fantastic and your story is very inspiring! You look great…what a testimony. At the end of the day eating right and exercising really is the key to losing and keeping it off! I finally learned that myself…Keep it up. I started at 210 and now I am at 175 and my goal weight is 155, but ultimate goal is same as yours 145! Thanks for sharing. you are an inspiration, you worked hard and it shows. I would like to conversate more about your weight loss journey im having the same issues. Anytime Sherwand! If you haven’t already inbox me on Facebook at Tiffany WildKat Williams! Congratulations Tiffany you look incredible and your success is an inspiration to all of us.